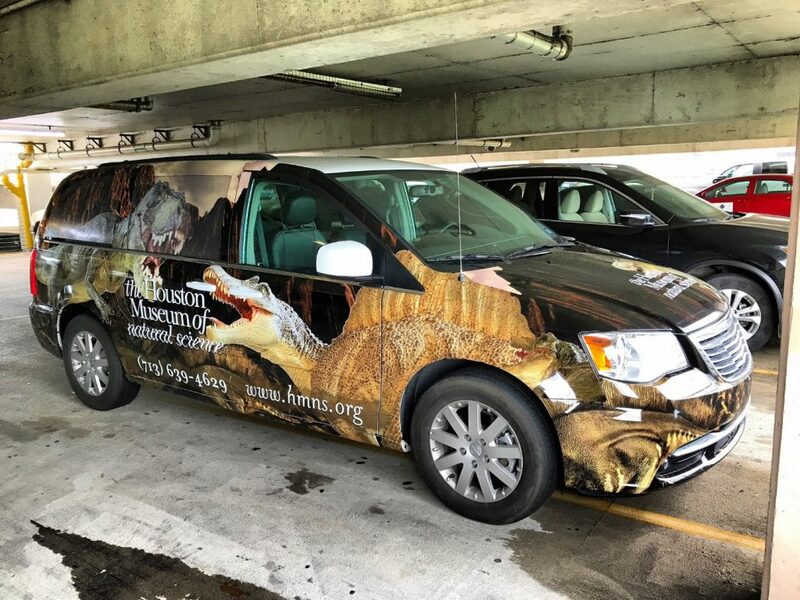 After traveling over 30 thousand miles and delivering over 700 programs in 2016, the HMNS Outreach team has hit the road in 2017 with some fresh wheels! 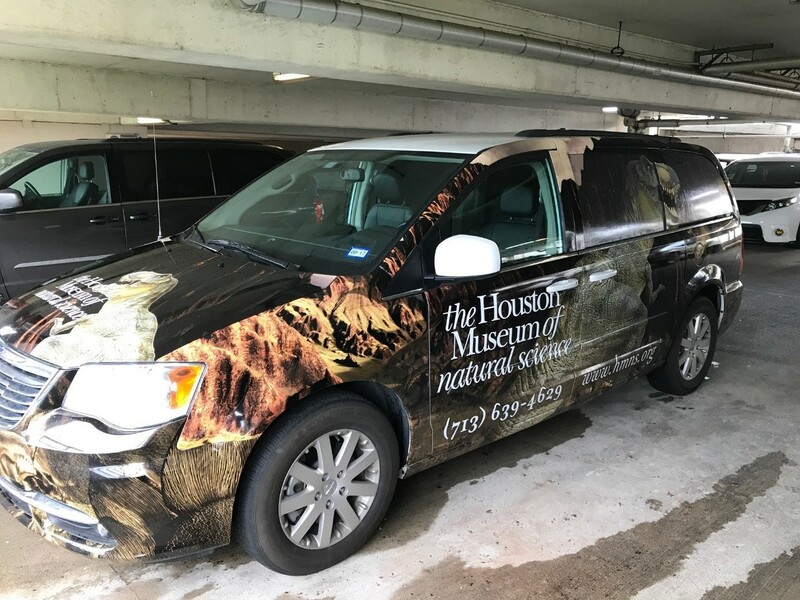 Join us in welcoming these new vehicles to the HMNS family! 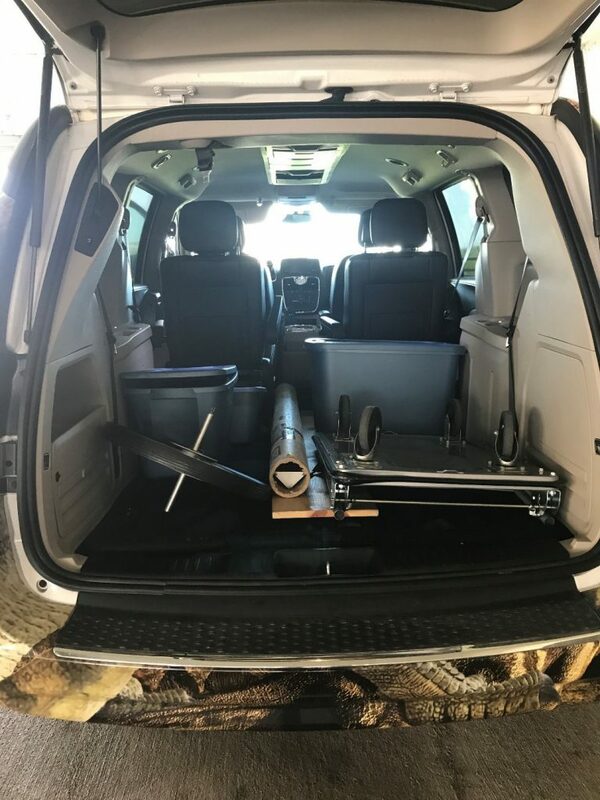 With three rows of seating that fall perfectly flat, these Chrysler Town and Country minivans provide ample cargo space for everything from live animals and bugs to fossils and physics. 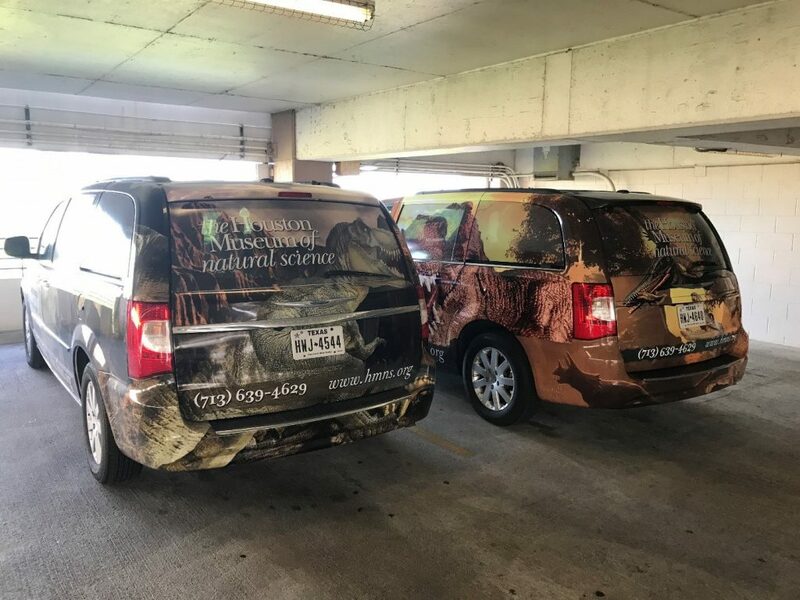 The vans feature a variety of dinosaurs and archosaurs, including Tyrannosaurus rex, Triceratops, Spinosaurus and Quetzalcoatlus, among others. The sight of a roaring T. rex in traffic on I-45 should be much more common moving forward than ever before. 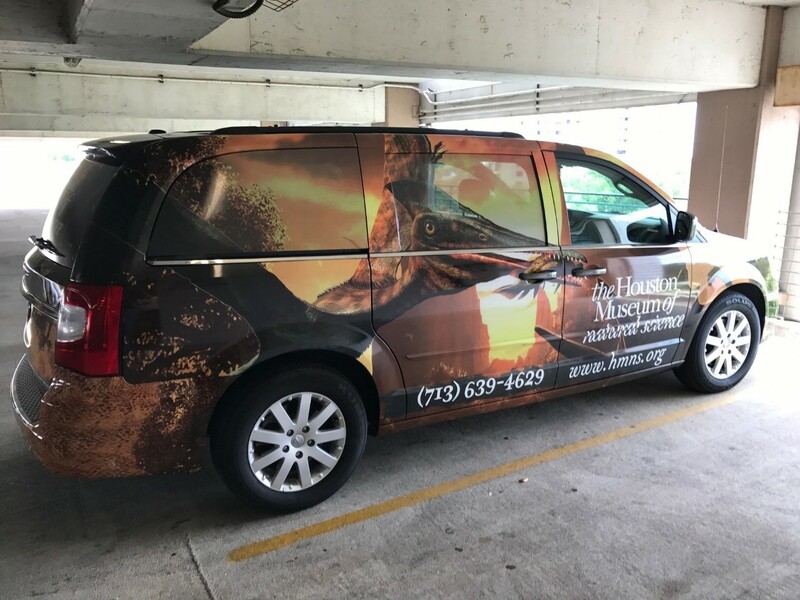 Whether we are headed 300 miles away to Texarkana or around the corner in the Museum District, our vans are sure to make a splash on the street! 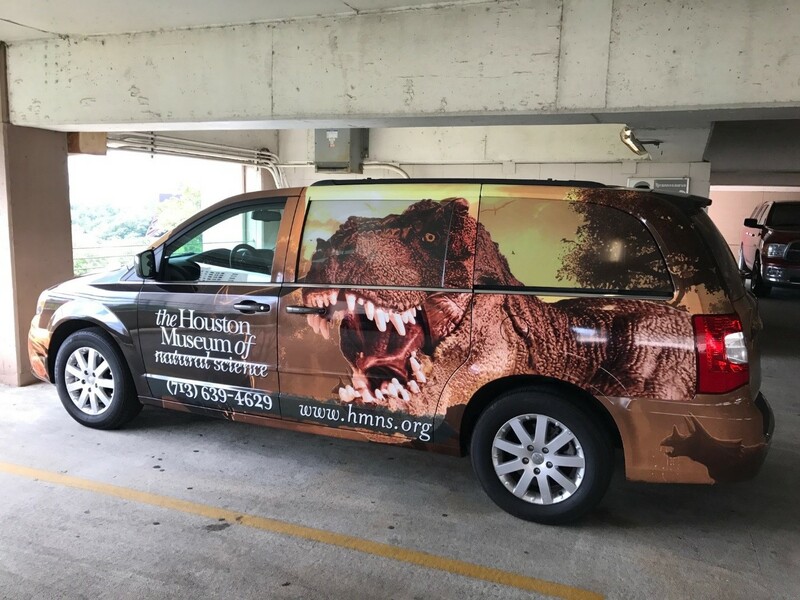 The vehicle wraps were designed and installed by Xtickers Designs, and their work acts as a mobile billboard for HMNS as our presenters travel all over southeast Texas. Keep your eyes open for our vans at a library near you this summer or your school this school year! And if you see a van, snap a photo and share it with us online with #HMNSOutreach! 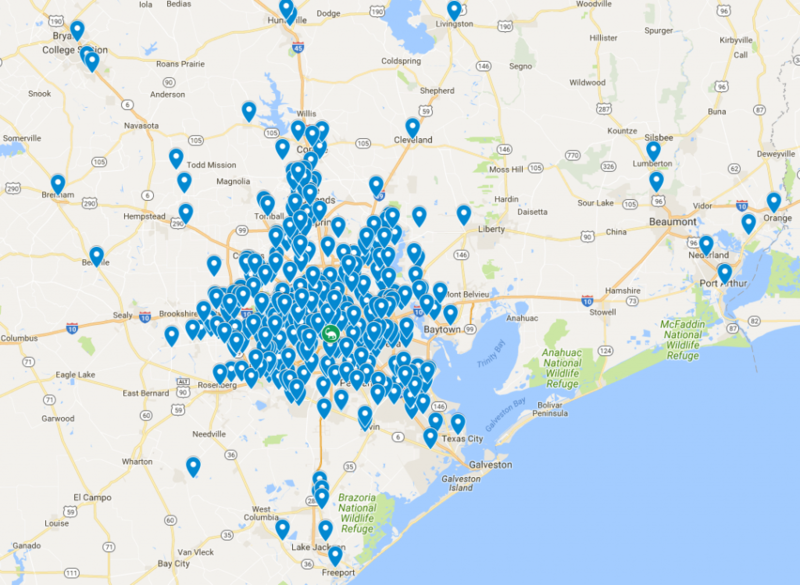 To book an HMNS Outreach program for your school or event, contact Greta at outreach@hmns.org or (713) 639-4758! Previous Post Our Wands May Not Be Magic, But They Sure Are Pretty!